1.3 When you use certain Wowbbq services please read the additional information provided with regards to such services as this information will provide you with full details on how to use such services. 2.1 Please see the Home delivery information section for information on how to place an order. All orders that you place on this website will be subject to acceptance in accordance with these terms and conditions. 2.2 The 'complete this order' stage sets out the final details of your order. Following this, you will be asked to provide payment. Upon the successful receipt of your payment, we will send to you an order confirmation email detailing the products you have ordered. Please note that this email is not an order acceptance from Wowbbq. 2.3 Acceptance of your order and the completion of the contract between you and us will take place on despatch to you of the products ordered unless we have notified you that we do not accept your order or you have cancelled it (please refer to Returns and refunds). 3.1 During the Wowbbq checkout process you will be asked if your goods can be left in a safe place. By checking this box you agree to accept liability for the goods once our nominated courier has delivered them to that safe place. If this box has not been checked (and a safe place specified), all goods must be signed for by an adult aged 18 years or over on delivery. 3.2 Delivery charges and estimated timescales are specified in the Home delivery information section and also when you place an order. We make every effort to deliver goods within the estimated timescales, however delays are occasionally inevitable due to unforeseen factors. 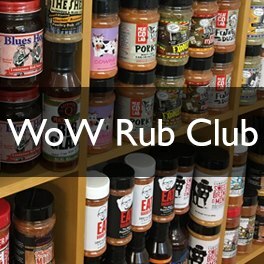 Wowbbq shall be under no liability for any delay or failure to deliver the products within estimated timescales. First Class Royal Mail is generally a 2-3 day service. However Royal Mail advises that it can take up to 15 working-days for delivery. No tracer action can be launched for parcels until this time has elapsed. 3.3 Next Working-Day Delivery and Saturday Delivery is for orders placed before 3pm Monday to Friday. Orders placed on the weekend will be despatched Monday for delivery Tuesday. 3.4 Risk of loss and damage of products passes to you on the date when the products are delivered or on the date of first attempted delivery by us or our nominated courier service. 4.1 We take payment from your card at the time we receive your order. Goods are subject to availability. In the event that we are unable to supply the goods, we will inform you of this as soon as possible. A full refund will be given where you have already paid for the goods. 4.2 To ensure that your credit, debit or charge card is not being used without your consent, we will validate name, address and other personal information supplied by you during the order process against appropriate third party databases. By accepting these terms and conditions you consent to such checks being made. In performing these checks personal information provided by you may be disclosed to a registered Credit Reference Agency which may keep a record of that information. You can rest assured that this is done only to confirm your identity, that a credit check is not performed and that your credit rating will be unaffected. All information provided by you will be treated securely and strictly in accordance with the The General Data Protection Regulation (EU) 2016/679 2018.
b) While we try and ensure that all prices on our website are accurate, errors may occur. If we discover an error in the price of goods you have ordered we will inform you as soon as possible and give you the option of confirming your order at the correct price or cancelling it. If we are unable to contact you we will treat the order as cancelled. If you cancel and you have already paid for the goods, you will receive a full refund. 4.4 For information about secure online ordering see Secure Online Shopping. 4.6 All prices are shown in £s sterling and include VAT (where applicable) at the applicable current rates but exclude delivery charges, unless expressly stated otherwise (see Home delivery information for further details). 5.1 Please see our Returns, Refunds and Cancellations page (below). 7.2 Subject to Section 7.1 above, Wowbbq will use reasonable endeavours to verify the accuracy of any information on the site but makes no representation or warranty of any kind express or implied statutory or otherwise regarding the contents or availability of the site or that it will be timely or error-free, that defects will be corrected, or that the site or the server that makes it available are free of viruses or bugs or represents the full functionality, accuracy, reliability of the website. Wowbbq will not be responsible or liable to you for any loss of content or material uploaded or transmitted through the website and Wowbbq accepts no liability of any kind for any loss or damage from action taken or taken in reliance on material or information contained on the site. 7.5 Notwithstanding the above, subject to Section 7.1 Wowbbq's aggregate liability (whether in contract, tort or otherwise) for loss or damage shall in any event be limited to a sum equal to the amount paid or payable by you for the product(s) in respect of one incident or series of incidents attributable to the same clause. 8.2 Wowbbq shall be under no liability for any delay or failure to deliver products or otherwise perform any obligation as specified in these terms and conditions if the same is wholly or partly caused whether directly or indirectly by circumstances beyond its reasonable control. 8.3 Wowbbq reserves the right to transfer, assign, novate or sub-contract the benefit of the whole or part of any of its rights or obligations under these terms and conditions or any related contract to any third party. 8.4 These terms and conditions do not create or confer any rights or benefits enforceable by any person that is not a party (within the meaning of the U.K. Contracts (Rights of Third Parties) Act 1999). 8.5 These terms and conditions including the documents or other sources referred to in these terms and conditions supersede all prior representations understandings and agreements between you and Wowbbq relating to the use of this website (including the order of products), and sets forth the entire agreement and understanding between you and Wowbbq for your use of this website. We stand by both the quality of our products and delivery model. However we also know that, for one reason or another, there may be a time when you need to exchange or return something you've bought. Please make sure that you check your items carefully before as soon as you take delivery. We also recommend that you keep your shipping delivery notice, which will arrive in the packaging. Below is the Wowbbq policy, this will in no way affect your statutory rights under Distance Selling Regulations. Within seven days please contact our customer service team. They will arrange to refund the purchase price of the goods. You can either post the goods to us, or we can arrange a courier pick-up (the cost of which will be deducted from the refund). Within thirty days please contact our customer service team. They will ask for a photo of the faulty part/parts to be emailed to us. Upon receipt of this, we will arrange to refund your payment or send the required replacements parts to you. If your goods appear to have been damaged in transit, please contact us within 7 (seven) days of receiving the goods. If possible sign for the goods as damaged. If upon opening the packaging you notice damage, please contact out customer service team who will ask you to email a photo of the damage. We can only accept claims for damage within 7 (seven) days of delivery as outside of this period a claim can not be submitted to our courier. As an online business and in an effort to prevent unnecessary waste; it is the policy of WOWBBQ to send all invoices via email; a delivery note will be sent with goods. Hard paper copies of invoices can be dispatched upon request at a cost of £1.95. It is understood that any and all orders placed online via the website will be subject to these terms and conditions. Wowbbq is committed to ensuring your statutory rights under Distance Selling Regulations. If you have ordered by telephone or internet, under the Distance Selling Regulations, you have a statutory right to cancel your order and receive a full refund within seven days of you taking delivery of the goods. To cancel, you can contact our Customer Service Team (see contact us for details) within seven working days (so not including Saturdays, Sundays or public holidays) commencing the day after the day of delivery of your item(s), quoting your order number. We will require written notification via a durable medium (letter, email, fax). You must take reasonable care of the item(s). Return postage is at the expense of the customer. We aim to beat any genuine in stock advertised price for a Weber BBQ. Exclusions include clearance prices, second hand goods, an advertised price for product which is out of stock and unverified prices which are not visible on a website. WowBBQ determines a product as "in stock" when delivery can be fulfilled on a next working day service. The WowBBQ price beat guarantee is at the complete discretion of wowbbq and may be withdrawn or amended at any time. Under no circumstances will WowBBQ match a price for goods where the sale price results in a financial loss for WOWBBQ - simply stated we will not sell goods below cost. This website is an independent website, which is not endorsed or sponsored by Weber-Stephen Products Co. or Weber-Stephen Products (UK) who owns all copyrights to text and images used on Weber websites, catalogues, products and packages. The copyrighted materials used on this website are used by permission of Weber-Stephen Products Co. and Weber-Stephen Products (UK) Ltd.